The bassist for 3 Doors Down has been suspended indefinitely by the band following his DUI arrest. 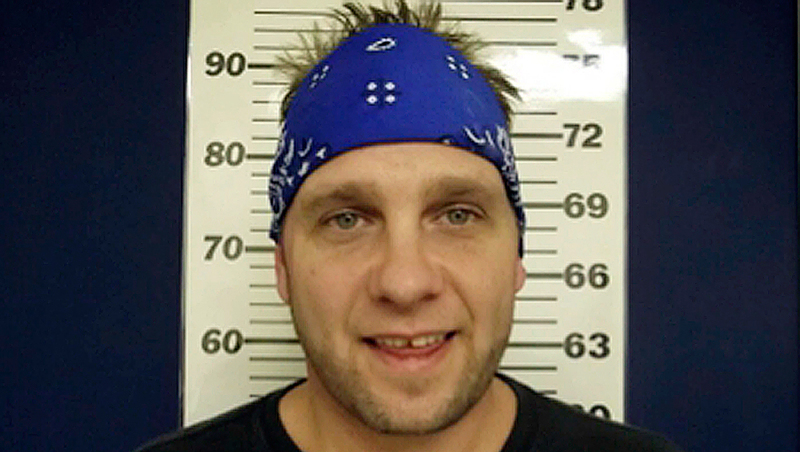 Todd Harrell was charged Tuesday in Mississippi with a second-offense DUI involving a substance other than alcohol. The rock group said in a statement Thursday that Harrell was suspended to protect the band's "image and integrity." In 2012, Harrell's Cadillac rear-ended another vehicle. He was later found to be driving under the influence of prescription drugs and was convicted. Harrell has also been in trouble in Nashville, Tenn. He's accused of driving impaired in an accident resulting in another driver's death in April 2013. The band says it is encouraging Harrell to "address and resolve his problems." Harrell had been a member of the Mississippi-based band since its start in 1996. Harrell has recently been living outside Nashville. 3 Doors Down's Top 10 hits include "Kryptonite," "When I'm Gone" and "Here Without You." The band's first two albums, 2000's "The Better Life" and 2002's "Away From the Sun," have sold 6 million and 4 million units, respectively. The band's most recent studio album, "Time of My Life," surfaced in 2011. The group is preparing for a tour of Canada beginning June 3.